Notification of application included in RPA initiative. You will receive a Notice of Imported Citations informing you of your application’s inclusion in the Initiative and listing the citations from the immediate parent application that have been imported into the application. Identification of citation from notice of consideration. All citations that have been imported from the parent application and indicated as considered on the Notice of Consideration will be printed on the patent issuing from the continuing application. These imported citations will be marked with a double-dagger on the patent to distinguish them from the other citations of record. Art unit considered for Phase 1 release. The initial implementation will be a targeted release and will not be a corps-wide release. On November 1, 2018, the initiative was released to Art Unit 2131 in Technology Center 2100 (the top ten assignees in this Art Unit include IBM, Intel, Microsoft, Samsung, Fujitsu, Hitachi, Hewlett Packard, Sony, Sandisk, and Oracle). On January 1, 2019, the initiative will be released to the following eight additional art units: 1616, 1731, 2431, 2675, 2879, 2922, 3635, and 3753. Multiple importation: USPTO will perform only a single importation of citations from the patent application. Any citations from IDS listings or PTO-892 forms appearing in the parent application after this single importation occurs will not be imported. Citation not imported from parent application: If the Applicant would like these (not imported) citations printed on the face of the continuing application, applicant would need to submit them on an IDS in compliance with 37 CFR 1.97 and 1.98. Otherwise, the Examiner will still consider the documents corresponding to these citations that have not been imported in accordance with MPEP 609.02. Along with sending the notification to the applicant regarding Notice of Imported Citations it should give a provision to applicant to add missing citation if any with a timeline to respond. We at MaxVal greatly appreciate the USPTO’s efforts on this Initiative and look forward to learning more about future phases. Keep in mind that you still need to keep track of new references as they come from various sources (other jurisdictions, inventors, etc.). You also need to keep track of the references already considered by the examiner (in the RPA). We pride ourselves on being an IDS expert and believe a tool such as Max-IDS will certainly help in managing your references (and related applications). If you want to learn more about how you could benefit from using Max-IDS, please click here. 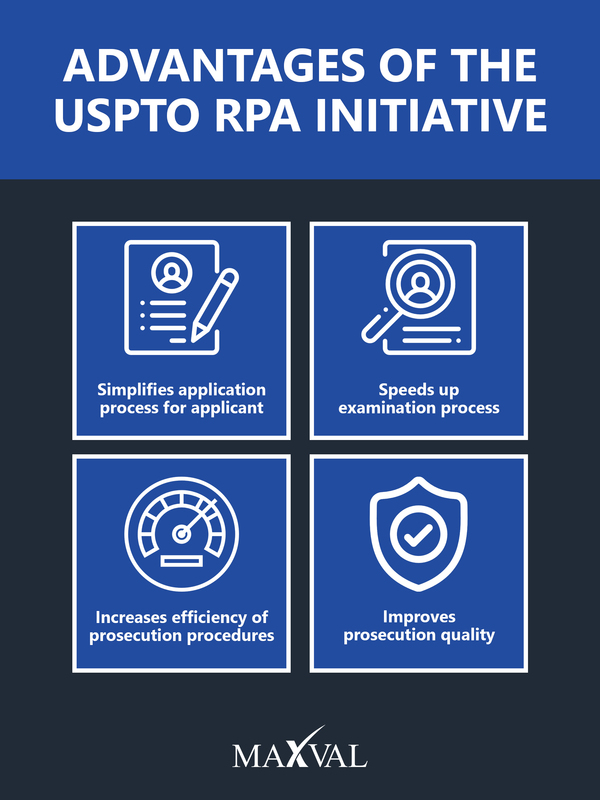 For more information on the RPA Initiative, please click here.